People living in the cities want to enjoy everything the city has to offer. Big part of city life consists of eating out and exploring the best new restaurants popping up constantly. 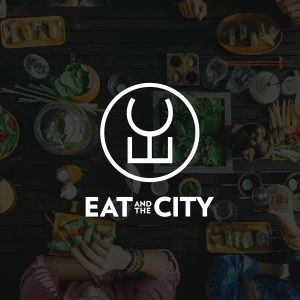 EatAndTheCity brings people and restaurants together providing platform for restaurants promote their services and to people share their experiences. No matter where you are in the world, EatAndTheCity helps connect people with the right restaurant for them. Eat And The City is software project of City Digital, including TableOnline table booking, restaurant listings, food order and prepaid restaurant gift cards. The platform can be licenced for media companies and for banking industry to create full stack app and portal for local restaurants and city life. We are looking for licensing partners in London, New York, Los Angeles, San Fransisco, Stockholm, Oslo, Copenhagen, Berlin, Cologne, Frankfurt, Warsaw, Moscow, St. Petersburg, Vienna, Amsterdam and other big cities in Europe and USA. Our platform is here for you to find more convinient and better experiences to eat in the city. Our Win-Win-Win model connects loyal local media reader with restaurant solutions for media and the restaurant itself. All automatic. Like magic. Many local media has interesting information about restaurants. Editors write awesome articles about restaurants for example “Top 5 restaurants in London” or “Best sushi restaurants in New York” but at the moment media has no monetisation model for these articles. 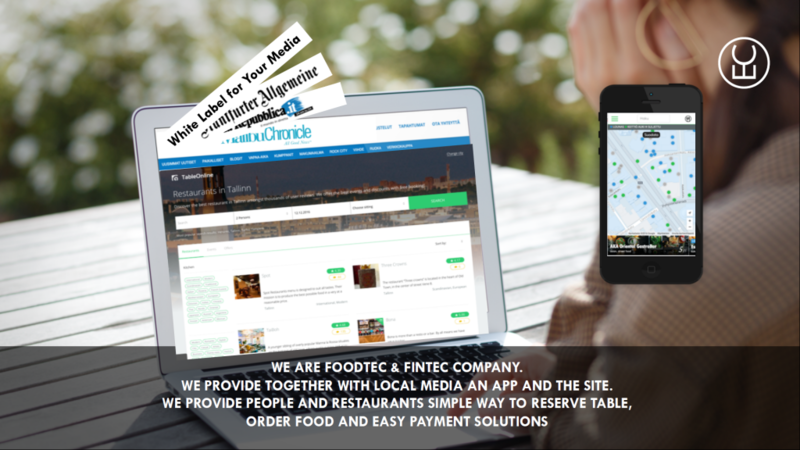 Eat And The City provides full stack restaurant solution for media where reader can read user reviews and interact with restaurants directly from media article and white label restaurant portal. Media reader can reserve a table, order food, pay lunch in advance (prepayment) and buy gift cards directly from media site. You have rush hour at restaurant and phone is ringing. No one has time to answer that and restaurant is losing clients reservation to other restaurants. No problem. Eat And The City platform is integrated with TableOnline Table Reservation system and restaurant can receive reservations directly from articles in local news paper and via restaurant listings provided by local media. Restaurant will get email addresses, addresses and phone numbers of all customers and can use these for marketing campaigns. Lets imagine loving parents with kids. They read about new restaurant in local news site and parents want to spend nice time. They book table directly from that article for next friday. Family is hungry so they want to order some food. They notice that local media has also listings on restaurants that deliver food to home and they order some pizza immediately. Friday comes and parents go out and nanny is watching their kids at home. Loving couple comes to a restaurant and the champagne they preordered is served to them immediately when they arrive. Dinner is so nice that they want to buy a gift card also for their nanny so that she can also go to same restaurant with her boyfriend.